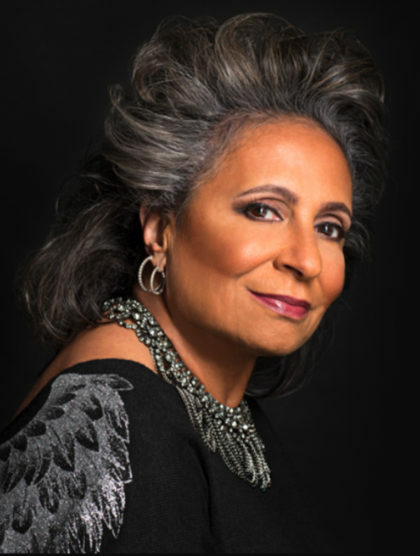 The oft-told entrepreneurial success narrative of Urban One founder and chair Cathy Hughes tends to leave out a crucial part of the story: Her son and company CEO Alfred Liggins III is an equal partner in the journey of this black multimedia and entertainment enterprise. By now, the tale of this single-mother’s rise from Omaha dreamer to Washington D.C. icon is the stuff of legend. But what gets lost in translation is that her son also came out of Omaha. He was only 7 when he moved with his mom to D.C., but he was here long enough to form fond memories of school (Sacred Heart, Mammoth Park), recreation (Kellom Pool, Fontenelle Park) and spending time with extended family (his maternal grandparents Helen Jones Woods and William Alfred Woods). For years, he came back annually to visit family. 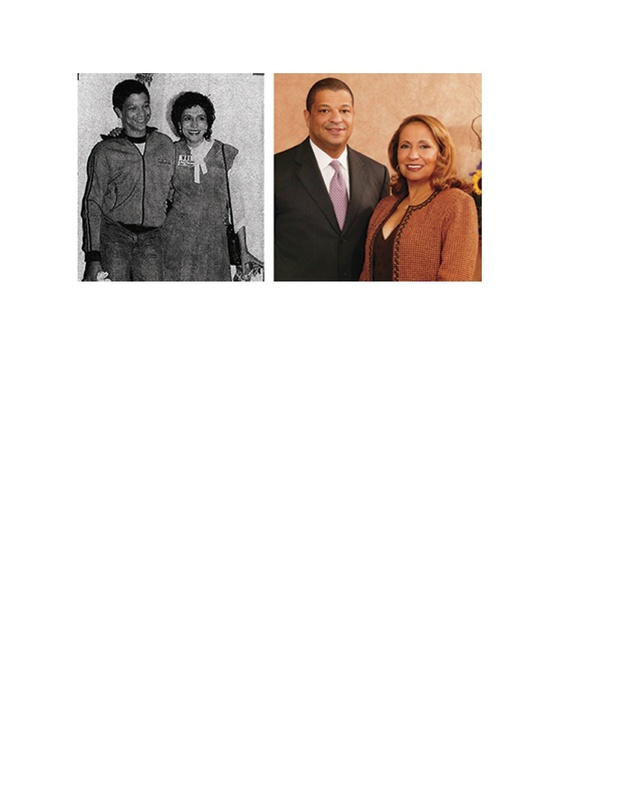 He twice lived with his biological father Alfred Liggins II. Contrary to popular belief, he didn’t enter or inherit the family business after it was already rolling. He was there from its fledgling start and helped make it a success. He’s since grown it to unimagined heights. But even he’s is in awe of his mom. “Yeah, I marvel at her gumption and her fearlessness,” he said. “You have to remember, she’s only 17 years older than I am. The business was founded in 1980. 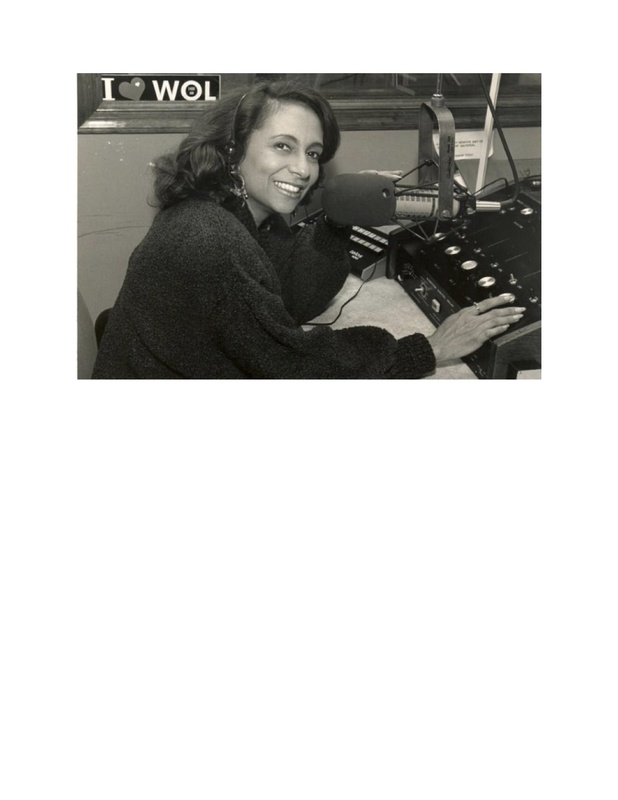 I joined full-time in 1985 when we had the one radio station. so I’ve had a front-row seat on the business journey from almost the beginning. Along the way, there’s been little time to admire what they’ve done together. He doesn’t mind her getting most of the pub. “Look, my mother has an amazing story from where she came and she’s always been more of a forefront person. A lot of people tend to think this woman built this company and she made her son the CEO, but they don’t realize how long I’ve been at the company and that it was really a joint effort. They tend to thing it’s a traditional family business. 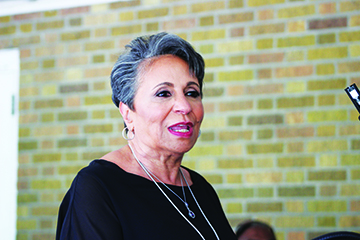 Last May, Omaha feted Hughes at events celebrating her life, including a street naming in her honor..Liggins was content letting his mom have the spotlight. “I never spend a bunch of time doing press or correcting people because that’s just not who I am. I love our partnership. I’m grateful and happy that people are inspired by her story, our story, and it’s a great story and a great journey. I don’t feel a need to build my own story separate and apart from hers. Before coming on full-time at age 20 in 1985, Liggins worked at the station as a sportscaster and weekend talk show host while still a high school teenager. He went to L.A. to live with his step-father, Dewey Hughes, looking to break into the music biz. What was then known as Radio One consisted of a single station. 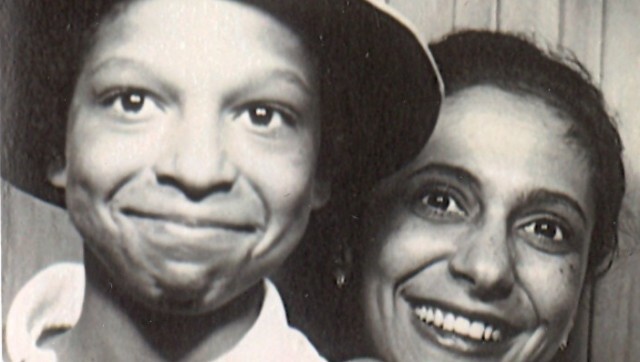 Within a decade, the mother and son grew the company into a nationwide network. “I always had a talent for sales. I went into the sales department and started to be successful pretty early on,” Liggins said. He kept doubling his earnings from year to year until, by his early 20s, he was pulling down $150,000. Between his earnings and social life, he dropped out of night school. It was only some years later he applied to the Wharton School of Business executive management master’s program. Despite not being a college graduate, he got in on the strength of managing a $25 million a year company and recommendations from the likes of Rev. Jesse Jackson. 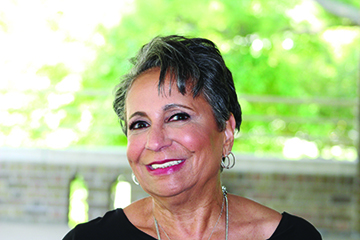 While he took care of business behind the scenes, Cathy Hughes made her presence known on air. Reaching a more substantial audience came next. “We owned one AM radio station and FM radio at that time was really exploding. It was where all the audience was, AM was dying. We set out and put together a plan to expand into FM radio. I identified an FM we could afford, Investors worked with my mother and me to figure out how to finance it. It was like a $7.5 million purchase. I think they needed like 10 different minority focused venture capital entities to put up the funding. And we got our first FM. For the first time, the company recorded serious profits. 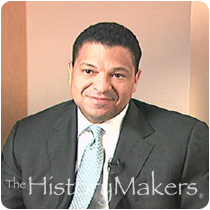 In charge of day to day operations for more than two decades, Liggins has led subsequent strategic moves – from taking the company public in 1998 tp brokering deals that created TV One and Interactive One (now iOne Digital) to entering the casino-gaming industry. He’s also guided the company in divesting itself of low-performing stations and other media segment drags and in acquiring Reach Media, whose national radio personalities lineup includes Tom Joyner, Erica Campbell, DL Hughley and Rev. Al Sharpton. “We built our company around serving the black community,” he said. That’s why getting into television was key. “BET was created in Washington in 1980 – the same year Radio One was formed. We knew BEY founder Robert Johnson. The people who invested in Radio One were also involved in BET. One of our lead investors was actually on the BET board. So we had a front-row seat to see that success. To hedge against media volatility, the company’s diversified into the casino gaming business with partners MGM and a casino resort in DC..
“It’s been a great investment for us,” Liggins said. Then there’s the new phenomenon of black culture and content being in great demand. He’s arrived at a leadership style that suits him. “I’m an information-gatherer. I ask a lot of questions of a lot of people and I throw a lot of ideas on the wall. Then I debate them with folks. Even though I ask people a lot of questions I’m not necessarily a manager by consensus all the time. I’l take that info and chart the path. I’m a big believer in hiring people who know more than I do in certain areas and have skill sets I don’t. He nurtures the team he’s cultivated around him. 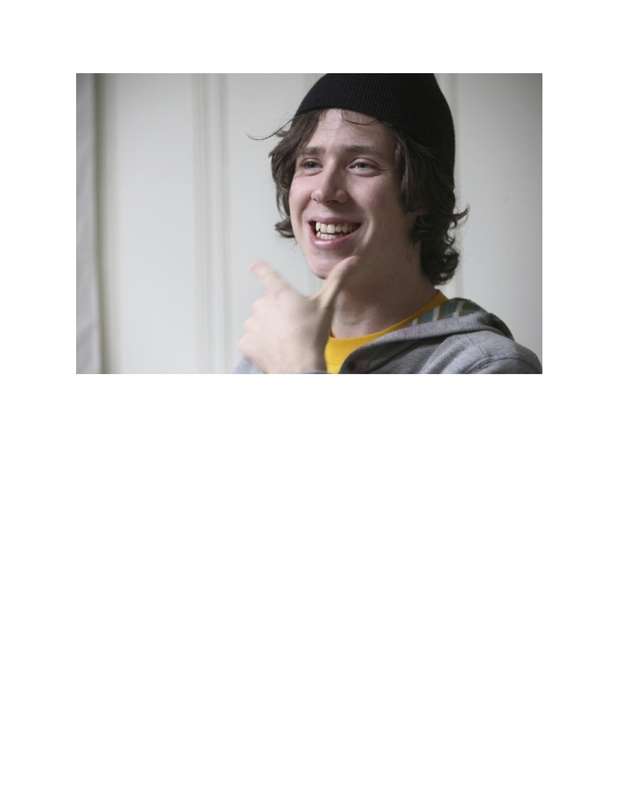 “I try to be collegial in my style with folks even though like my mother I can be very direct. Some people may say I’m aloof. I would say generally though the people who work with me like working with me. I nurture a positive relationship with those people. Ego has no place in his business approach. Liggins, a single father of one son, acknowledges he’s given some thought to a third generation in this family legacy business. “It would be great. My son’s 10. He talks as if he wants to. It’s still early on. He’s got to earn his way into that, too. But i like the idea that he would want to follow in our footsteps. But it’s up to me he’s got a company to even consider taking over by the time he comes of age. Whatever happens, Omaha remains home for him and his mother – a reality impressed upon him when they visited last spring. “It’s like you come full-circle. This is where we both recognize we’re from. We’ve got deep roots there. There’s a track record of successful African-Americans from that community. We’ve always come back. Nebraskans are about to get an education about one of their own they should know more about and embrace as one of the state’s greatest ever exports but very few outside of Omaha’s African-American community do. 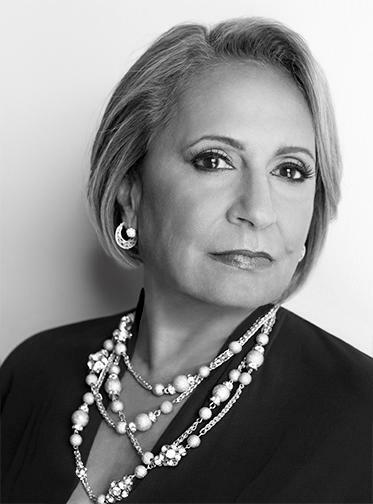 This exemplary product is Omaha native Cathy Hughes, founder and owner of two major media networks, Radio One and TV One, that she grew into African-American market empires. Hers is an entrepreneurial success story unlike few others and one that transcends color and gender. Think Oprah Winfrey but only more niche and you have an idea of just how big a deal she is and just what a footprint she has in a segment of the national media marketplace. Her personal net worth is estimated at half a billion dollars. Get the picture? She’s about to come on your radar in a big way, perhaps for the first time, because of a series of events feting and featuring her in her hometown the week of May 14-20. If you’re wondering why you’ve never heard of her before or why there haven’t been things named after her before, it may say something about how this predominantly white state has not exactly gone out of its way to recognize her or any other woman of color. As a whole, Omaha’s been guilty of the same, The festivities being planned around her are largely the effort of the African-American community here, though a broad spectrum of city officials and movers and shakers will be present for the street renaming ceremony and the Omaha Press Club Face on the Barroom Floor roast in her honor (see about the Press Club event by clicking below). 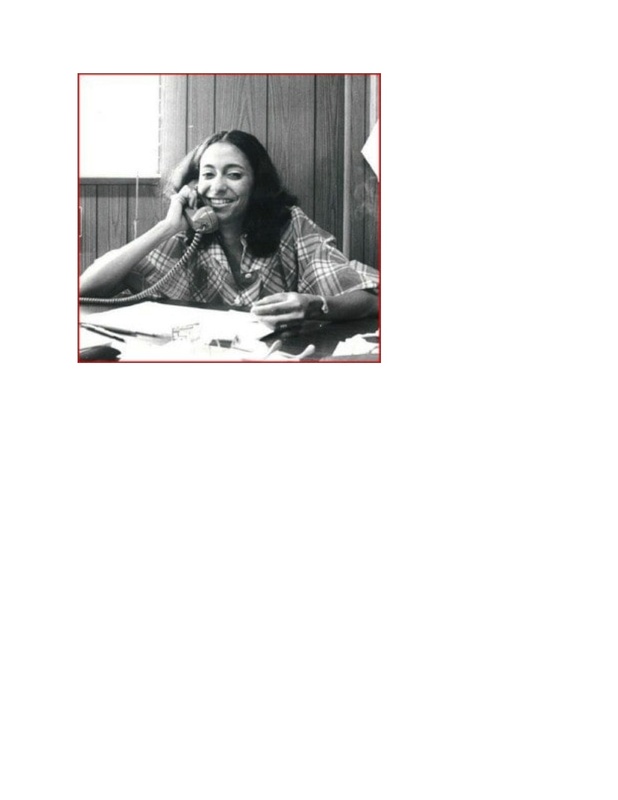 Her omission, until now, as a generally known and acknowledged Nebraska Great is all the more vexing because she got her media start in Omaha, counted as her mentor Omaha Star publisher Mildred Brown and has retained very close ties to the city and the black community. She has also been very generous with her time with this reporter and others from here and with other members of the community here. I will be doing a whole new round of writing about Cathy and her business and life journey in the coming months. Oh, by the way, her mother Helen Jones Woods is a great story in herself as a member of the famed International Sweethearts of Rhythm during the big band swing era. Reservations must be accompanied by OPC member number or credit card. Cancellations require a 48-hour notice. discounted parking available for nonmembers with ticket validation. Bring your Central City Garage ticket with you to the club. A man intimate with the Old Market’s origins is gone, but his legacy lives on. The late George Eisenberg, 88, appreciated the historic Old Market the way few people do because of his many relationships to it. His experience encompassed the Market’s life as a wholesale produce center and eventual transformation into an arts-culture destination and trendy neighborhood. 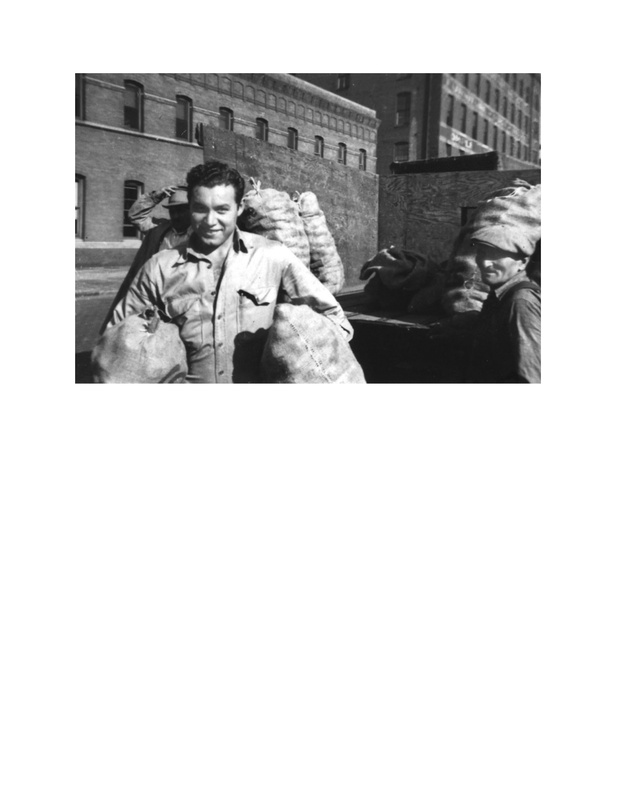 He began working in the Old Market as a peddler’s son, manning a fruit stall alongside his father, Ben, and brother, Hymie, in what was then the Omaha City Market. Later, he founded and ran a successful niche business with Hymie supplying national food manufacturers’ thrown-away bits of onions and potatoes. The brothers, known as “the potato and onion kings of the U.S.,” officed in adjoining warehouses their father kept for storage and distribution. Eisenberg held onto the building even after the produce market disbanded and the area fell into decline. As the area transitioned and property rates skyrocketed, he became a well-positioned landlord and active Old Market Business Association and Omaha Downtown Improvement District member. “He went to the meetings and spoke his mind,” son Steve Eisenberg says. More than speak his mind, Eisenberg oversaw the careful renovation of his building and secured many of the lamp posts that adorn the Old Market. The Eisenberg property at 414-418 South 10th Street housed many tenants over the years, and today is home to J.D. Tucker’s and Stadium View sports bars. Eisenberg was half of the wholesaler Eisenberg and Rothstein Co.
As the Old Market grew, he became one of its biggest advocates and enjoyed playing the role of unofficial historian. He’s remembered as a gentle lion who proudly shared the district’s past with business owners, visitors, media, and anyone interested in its history. He loved telling stories of what used to be a teeming Old World marketplace where Jewish, Italian, and other ethnic merchants dickered with customers over the price of fruit and vegetables. “Something he really enjoyed doing, especially in his retirement, was going down there and letting people know where the Old Market came from and where it’s going. Up till his last days, he saw such a bright future for the Old Market and was very proud of what all was going on down there,” says Steve. “George was just terrific, a real gentleman, also a wonderful character with a great sense of humor and compassion. He was revered as an ‘elder statesman,’” says Old Market Business Association member Angela Barry. “He was very sharp and knowledgeable about the neighborhood’s history. Even in his later years, he lovingly and passionately cared about the business of the Old Market. Nouvelle Eve owner Kat Moser will remember Eisenberg for his wise and generous business counsel. With Eisenberg’s passing and his peddler pal, Joe Vitale, preceding him in death a year earlier, the last sources with first-hand knowledge of the Omaha City Market are gone. But they leave behind an Old Market legacy not soon forgotten.